2-hydroxypropyl acrylate | Polysciences, Inc.
2-hydroxypropyl acrylate will increase the hydrophilic properties of polymers when copolymerized into a range of acrylate and methacrylate systems. 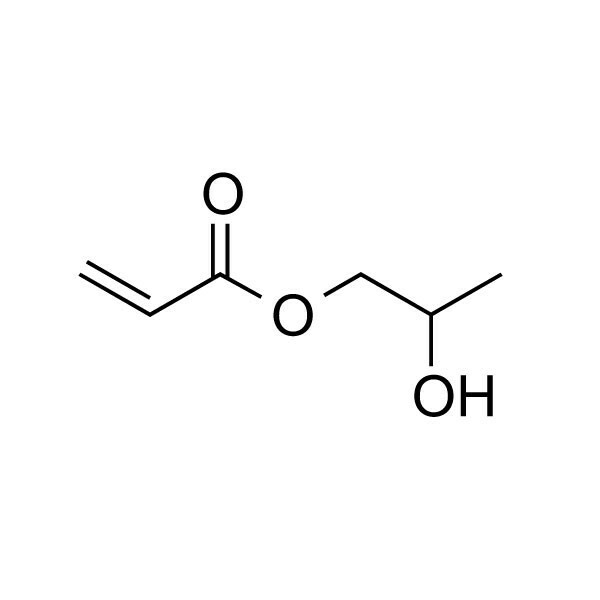 This monomer has been used in hydrogel polymers and in RAFT polymerizations. This product is a mixture of isomers in the approximate ratio of: 75% 2-hydroxypropyl acrylate, 25% 1-methyl-2-hydroxyethyl acrylate.